Creating Intentional Cultures one team at a time. What are Team Tune Ups? 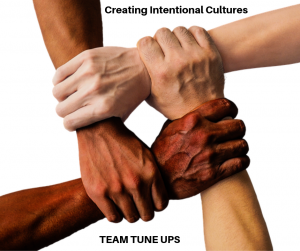 Team Tune Ups are group experiences that support teams to gain clarity on their impact, identify their team values and create an intentional culture in their work place. Our focus is start-up teams. Why Start-ups? Because these teams, whether they are aware of it or not, are developing a culture; it’s happening right now. In addition, I owned, grew and sold a start-up…. I know them well. (see my bio for more details) One of my favorite parts of owning a company was intentionally designing the culture. We had a rock star team. We also love the power of diverse teams and love to help bring out the strengths of them. Why should we intentionally design the culture? 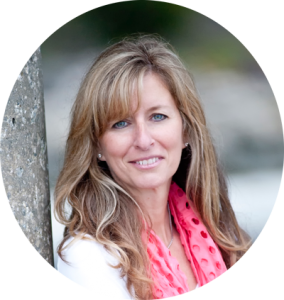 Imagine the impact when every team member is on board in creating an intentional culture. This equates to wild Success! Startup leaders often are focused on: Investment, capital, getting products to market, competition and what is going in your industry. These are all important and what we know is that another area that is critical to success is intentionally creating a culture that will facilitate the success. As a startup leader, I know that culture is not often in the forefront of your mind because other things are taking precedence and that is ok. This is where our team steps in to support you in this critical component of your companies development. Developing a culture with intention will attract the right team members long term – saving substantial money. The synergistic powerhouse of a team creates a winning combination needed to create sustainable success. Consciously creating the team culture is the secrete ingredient to success – it creates magic. Any thing can happen when you have an aligned team. Team Awareness (using the Total SDI assessment as a tool): Understanding each team members values when the team is cohesive and also when there might be conflict among the team – values change during conflict believe it or not. During these modules, each team member will take the TotalSDI Assessment and will have a 1:1 debrief about their own results. There will then be a group debrief so that the entire team gets to ‘see’ what the team looks like overall, creating a better sense of how each team member brings value at all times. Values and Mindfulness: Getting off the Hamster wheel and intentionally making your workplace an enjoyable place to work is the focus during the second series. We will identify the current culture. What we (the team, your team) like and what we don’t like about it and how to create more of what we do like. We will use our corporate values (if they are created already) to see if the current culture is aligned or not (zero judgement). We will create an aligned team vision of the culture we want to create. We will provide mindfulness tools to keep the culture more grounded than ever. These tools can be used forever. Individual Goals and Team Culture Development: The power of intention and how intentions impact culture. We will use our goal wheel tool to support each team member in creating their own goals and look at the goals we each have for the work place culture. They may be very similar or they may be different from one another. Either way, each team member gets to know the teams goals and intentions around culture. An intentional team – is a powerhouse of a team. The sky becomes the limit. Our goal is to assist your team in becoming a rock start team. Teams making a difference both internally and externally: Social Responsibility is critical these days. 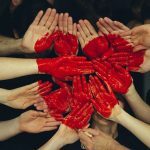 We love the B-corp model and you don’t need to be a B-corp to focus on also ensuring that your company is having a positive impact both internally and externally. The differentiation can be a game changer! We believe that when we love our work, we are making a difference. Our legacy comes from every person we impact. Every team has the opportunity to make a difference (positively or negatively) both internally every day as well as externally. We want to support you in creating a team that has big and conscious impact in turn making it a great place to work. Why are our Team Tune Ups (12 modules) done over time? Because what we know is that it is the little changes we make over time that makes the change last and has the biggest impact. If we keep checking in and bringing the team back to the focus of the culture you are looking to create, we will be more likely to create our vision. We can also address challenges as they arise and work through them real time with the idea of working through it with the intended culture in mind. This practice creates a model for addressing challenges for the life of the team. One time experiences tend not to have such lasting impact. During these experiences we will have check-ins and accountabilities that will help create the cultures that are intended. Take our Team Tune Up Assessment (coming soon!) to see if your team could benefit from this team experience. How many team members can participate in our Team Tune Ups? The minimum is a 2 team member group. The max we like to have in any Team Tune Up is 12 at a time. We feel this is the best way to have the most impact. We can work with multiple teams however. One-on-one coaching is not included but is optional and highly recommended for the biggest impact possible.